Give a gift card in our sleek signature packaging. Need a last minute present? Get our digital gift card. Like to know your gift card balance? Click below and start shopping now. 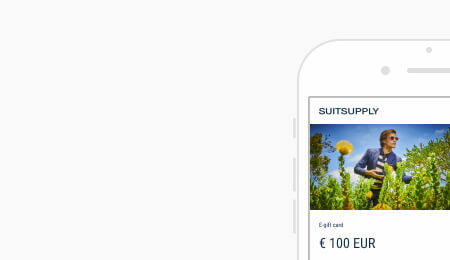 iPhone users can now store Suitsupply e-gift cards on the Wallet app. To check the balance of your gift card, enter the card and pin number. You will find this information on the back of your gift card or in the email you have received. 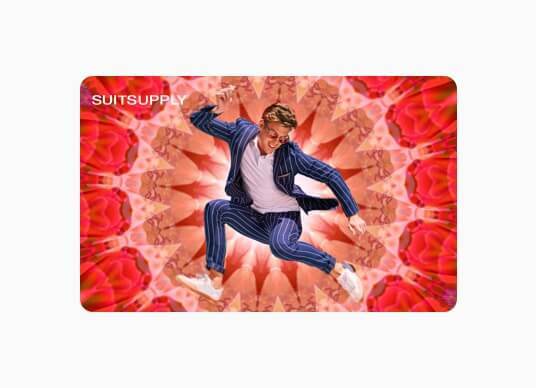 Suitsupply issues gift cards of various amounts, which are available for purchase online and our stores. 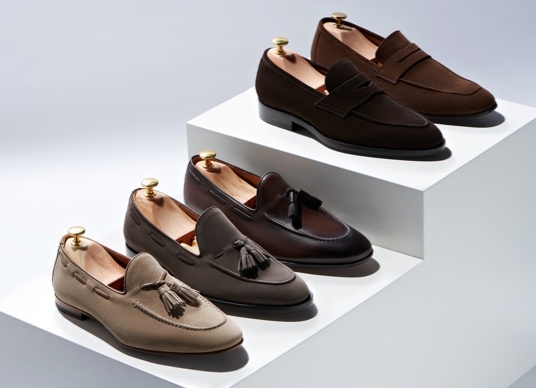 Gift cards can be used online or at select Suitsupply stores worldwide. Our gift cards have no expiration date. Please note that our gift cards are not reloadable. Gift cards cannot be returned or cancelled after purchase, nor be exchanged for cash (except where required by applicable law). Should the purchaser return a product (partially) purchased with a gift card, the refund will be (partially) credited to a new gift card, for a maximum of the amount originally charged for the product. If multiple products have been purchased using multiple payment methods, any refund with regard to a returned product will first be credited to a new gift card, then to the credit/debit card or PayPal account (up to the original amount charged thereto), and the remainder in cash. 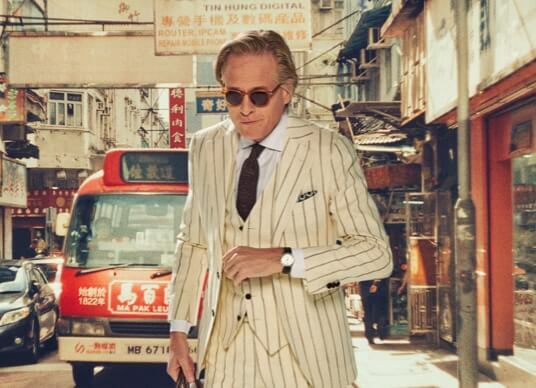 Gift cards purchased online cannot be redeemed at the following stores: Suitsupply Van Dijk Waalwijk, Dallas Stanley Korshak, New York Bloomingdales, Beverly Hills Bloomingdales, Mexico City, Minsk, Vilnius, Riga, Moscow, and Singapore. Physical gift cards purchased in any of the above-mentioned stores can only be redeemed in the store where the gift card was purchased. 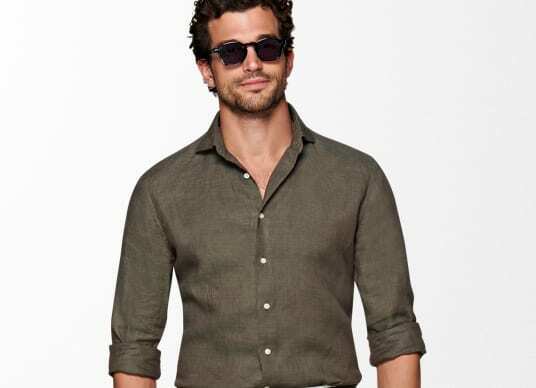 Suitsupply is not responsible for a gift card which is lost, stolen, damaged or used without purchaser’s permission. 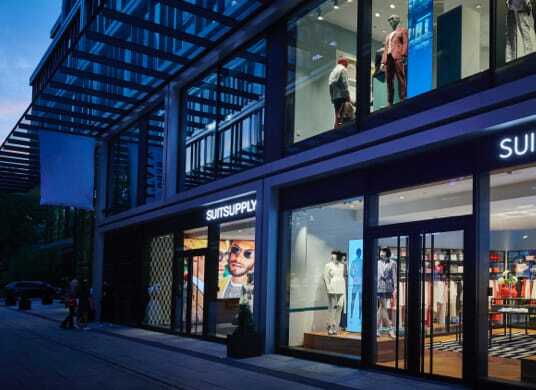 Suitsupply reserves the right to refuse gift cards for suspected fraud. 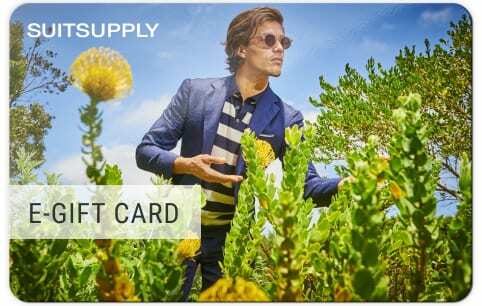 Suitsupply reserves the right to update or amend these gift card terms and conditions at any time, without prior notice.